The family of a Leamington biker who died after a crash with a van near Banbury last weekend has paid tribute to him. Simon Welsh, 42, died following the collision on the B4100 Banbury Road, close to The Falcon pub in Warmington. The collision happened at around 11.50am on Saturday September 15. Emergency crews attended the scene, but were unable to save Mr Welsh, who was pronounced dead at the scene. In a statement, Simon's family said: "Simon was a loving son, brother, uncle and friend to all of us. "He was a kind man, a real gentleman who would stop and give his last pound to anybody in need. "A huge heart who loved and cared for all nature and wildlife, Simon was always out and about with his sidekick Polly the Jack Russell. "With a passion for motorbikes, he passed away doing what he loved. Simon will be in our hearts forever and dearly missed." 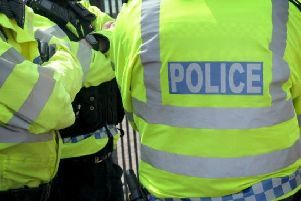 Officers have appealed for witnesses to the collision to come forward and urged drivers who may have been in the area to check dash cam footage to see if they captured anything.